Honeymoon packages can make a stay at your favorite resort even better with special touches like chocolate, champagne and massages. Some resorts offer complementary romantic perks for the newlywed couple, so be sure to ask. The Caribbean is a favorite with couples, offering secluded sandy beaches, friendly service and diverse restaurants. The islands offer fabulous snorkeling, scuba diving, kayaking and other ocean-based activities. Depending on which island you choose, there are many other activities such as hiking, mountain biking, golf and tennis. Nearly all of the Caribbean islands have spectacular beaches. Choose a hotel with a private bay or explore the islands to find the best secluded romantic spots. Be sure to check the terms of the packages because they may have changed since publication. 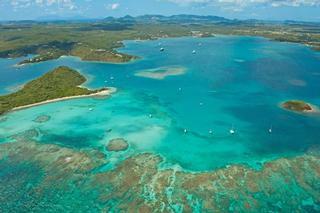 Nonsuch Bay Resort is a tranquil retreat in Antigua & Barbuda. Their accommodations reflect the West Indian Georgian Colonial style with high ceilings and traditional Caribbean décor. The resort is offering the Nonsuch for Two Off Peak package. Guests can enjoy an additional 20% off the best rates from September 4-30. The package offers bay view apartment accommodations and an all-inclusive meal plan. A watersports program, air-conditioning, Wi-Fi, and maid service are included. The offer is for five nights, double sharing. Rates start from $930 per person or $610 per person without a meal plan. It is inclusive of tax and other charges. 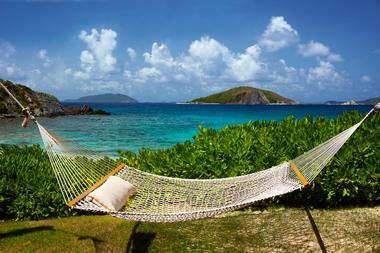 Peter Island Resort & Spa is a luxurious resort in the British Virgin Islands. The resort is offering a great honeymoon package, which includes a number of unique amenities. The newlyweds will receive a welcome bottle of champagne, enjoy a private dinner on the beach and a trip to The Loop to watch the sunset and relax over wine, fruit, and cheese. The package offers a private, full day sail on the Silmaril sailboat and a relaxing 90-minute couples massage in the Couples Suite at the Spa. Included in the package are overnight accommodations, all meals, and all other standard package amenities. Rates start from $6,420 for 7 nights in an ocean view room. Read more about Peter Island Resort & Spa. The Ritz-Carlton, St. Thomas is a luxury resort in the U.S. Virgin Islands. The Ritz-Carlton is offering the Treat You package, which includes overnight accommodations at The Ritz-Carlton Club Level. Guests pay for three nights and stay four nights, with one complimentary night stay. The package offers internet access in the guest room and overnight valet parking. This offer is valid till December 31, 2016. Rates start at $669 per night, based on single or double occupancy, and they exclude taxes and other charges. Sugar Beach Resort Hotel at St Lucia is a luxury resort, and it is a popular choice among Soufriere hotels as it offers a tranquil ambience with modern amenities and beautiful scenery. Included are luxurious villa accommodations for four nights. Guests receive round trip airport transfers, a red rose, and a bottle of champagne on arrival. The package also offers an introductory dive, sunset cruise, a Gros Piton Hike, and a complimentary candlelight dinner. Included is a couples’ sulfur seduction treatment and a leisurely breakfast in bed. Covecastles is an exquisite tropical haven in Anguilla. An architectural marvel, the hotel offers privacy in their elegant beach houses and grand villas. Covescastles is offering the Summer Dream package. Included is a welcome bottle of champagne and fruit platter. Guests receive a continental breakfast every morning and three dinners at the fine dining restaurant. The package includes airport transfers with Funtimes shuttle St. Maarten airport to Anguilla and a return.Taxi service is included,as is a four-day economy car rental. Guests also receive a two-hour private sunset boating trip and a beach picnic. Amsterdam Manor is a beautiful Dutch Colonial-style boutique hotel in Aruba. Overlooking the popular Eagle Beach, this hotel offers personalized service and modern amenities. The Ultimate Honeymoon package includes accommodations in a delightful honeymoon suite. Guests will also receive a bottle of champagne on arrival and a romantic champagne breakfast in bed. Couples will enjoy a romantic cruise and a romantic dinner at the restaurant Passions on the Beach. The package also offers two keepsake complimentary Amsterdam Manor bathrobes. Manchebo Beach Resort & Spa is a romantic getaway in Aruba. They are offering the Honeymoon All-Inclusive package for newly-weds. The package offers a deluxe ocean view room with a private balcony. Guests receive a bottle of champagne, chocolate covered strawberries, and fresh tropical flowers. Included are all meals served a-la-carte at Ike's Bistro, Mediterranean & Caribbean & Pega-Pega Café & Beach Bar, and French Steakhouse. Also included is access to a premium open bar that serves all beverages. Guests will enjoy a honeymoon couples massage and one dinner served off-property with a minimum of four night’s stay. The package includes snorkeling or a romantic sunset cruise and round-trip transfer from the airport. The resort also offers one night in a complimentary room on the couple’s next anniversary. Taxes apply. Gallows Point Resort is a romantic waterfront property in St John. The resort offers spectacular views of the water and breathtaking sunsets. Gallows Point Resort is offering the Renewal package. There are three picturesque locations that offer an intimate and romantic setting for a vow renewal gathering. Included is champagne and souvenir glasses in the suite on arrival. Guests receive His and Her souvenir bathrobes and a ceremony officiate. Also included is one sunset sail and dinner for two at Ocean 362 anytime during the stay. Rates start from $3,700 for five nights and $4,800 for seven nights. Long Bay is a secluded resort in the British Virgin Islands. Beautiful pristine beaches and breathtaking sceneries make visiting this island an unforgettable experience. The resort showcases spacious accommodations that are both private and elegant. 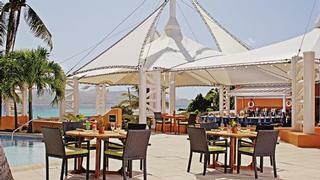 The resort is offering the 3-Night Explore the BVI package. Included are delightful and relaxing tropical accommodations. Guests receive a full American breakfast daily at the Beach Restaurant. 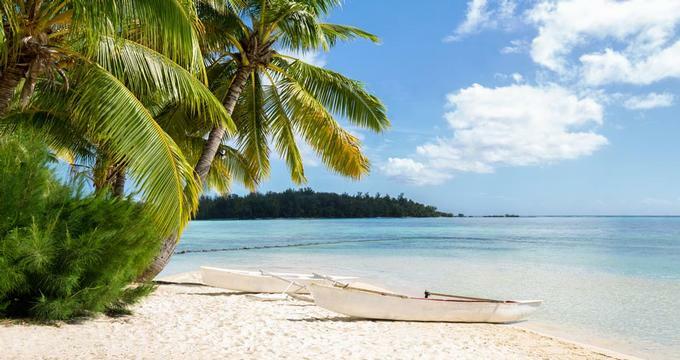 The package includes a day under the sun with a sailing trip to a neighboring island, and guests receive lunch, access to an open bar, and opportunities for snorkeling. Rates start from $784 per person. Surfsong Resort is a beautiful waterfront property on the south of Beef Island in the British Virgin Islands. Their villa accommodations offer elegant furnishings, secluded courtyards, and intimate decks. The resort is offering the Honeymoon package, which includes welcome cocktails and a gourmet basket with cheese, crackers, nuts, fruits, and chocolates. The newlyweds can relax over a private catered candlelight dinner with champagne. Also included is a one-hour couples massage and a day-sail snorkeling trip with lunch. The package includes 5-day SUV rental, though tax and insurance is extra. Rates start from $1200. Caricar is the ultimate destination for a romantic holiday in the Caribbean and Anguilla. The resort is offering the Honeymoon package. Included are seven nights in Beachview accommodations and a starter breakfast basket. Newlyweds receive chilled champagne, fresh flowers every day, and a complimentary Carimar gift. Included is dinner for two with cocktails and complimentary use of snorkel equipment and tennis courts. Other activities include golf, spa, island tours, and day trips to St. Martin. Rates start from $1,870 from July to November and $2,130 from May to June, including taxes. The policy requires a 50% deposit seven days after booking, and full payment is due 60 days before arrival. Atlantis Honeymoon Bliss is a romantic getaway in the Bahamas. This elegant retreat offers a special package for the newly-weds. The Atlantis Honeymoon Bliss package offers an in-room amenity of champagne and strawberries. The newlywed couple will be treated to an indulgent 50-minute couples massage at Mandara Spa. Included is also a honeymoon gift. The minimum stay is three nights, and the Honeymoon Bliss package can be added to any reservation for an extra $380. The rate includes VAT of 7.5%, but gratuities will apply. Stella Maris Resort is a beautiful island paradise in the Bahamas. They are offering the Honeymoon package, which offers five- or seven-night accommodations in an ocean view room with a king size bed or a free upgrade to the one-bedroom cottage, if available. Included is a complimentary bottle of champagne and one-day rental car use. Guests can relax with a couples massage and enjoy house wine with dinner every night. The package also offers all three meals per day and three drinks per day, excluding bottle wine and champagne. Rates start from $2,583 per couple and include all taxes. Guests also receive access to three swimming pools, beach towels, beach excursions, bicycles, kayaks, paddle boards, snorkeling, and Wi-Fi. Chaa Creek is a tranquil resort located in the pristine rainforest of Belize. They are offering the All Inclusive Honeymoon package. It includes round trip transfer from the international airport or Belize City. The package offers luxury accommodations and all meals. Guests will enjoy a private candlelight gourmet dinner and a couple’s Coma Massage or a spa treatment. Included are guided visits to the Butterfly Farm, Natural History Museum and the Rainforest Medicine Trail. The package also offers an early morning bird watching expedition, a romantic sunset canoe tour on the Macal River, and a visit to the Belize Zoo with transfer during departure or arrival. Hamanasi Adventure & Dive Resort is an elegant resort in Belize that showcases private and deluxe treehouses and romantic beachfront suites. Their Honeymoon & Seaside Romance package will make a perfect romantic getaway. The package offers luxurious accommodations and a porch with a hammock. Guests receive a complimentary bottle of champagne and floral turndown on the first night. Included are en-suite coffee and tea and all meals every day. Guests can relax over a couple’s massage and one special romantic dinner for two with a dedicated server. Included are roundtrip air transfers from Belize City to Dangriga and roundtrip ground transfers from Dangriga to Hamanasi Resort. Rates start from $2641 for seven nights in a beachfront suite or treehouse room, and taxes are extra. Caves Branch Adventure Co. & Jungle Lodge is a unique retreat in the jungles of Belize. They are offering the Honeymoon package for a romantic adventure in the jungle. The package includes 5 night’s accommodations in the Canopy Treehouse, Riverview, or the Jungle Suite. On arrival, couples receive a complimentary bottle of champagne, chocolates, flowers, and turn down service. Included are all meals, local beers, rum, juice, soda, and water. The package offers one overnight cave expedition and two or four single day adventures. Rates start from $2,834 for Jungle Suites and include all taxes. Grand Case Beach Club is a tranquil retreat on the breathtaking St. Martin Island. The package offers three day or seven day accommodations. Included are a welcome cocktail drink and a flower bouquet on arrival. Guests also receive one complimentary bottle of wine and a continental breakfast every day. The package offers one-day car rental to explore the island, excluding insurance and gas. Guests will receive a Grand Case Beach Club beach bag and the use of non-motorized watersports equipment. Access to a picnic basket for two, chaise lounges at the beach, and the pool are also included. Rates start at $1,130 for three nights. Gallery Bay Resort is an elegant holiday retreat in Antigua & Barbuda. Spectacular white sand beaches make it a natural vacation destination for a romantic holiday. The resort is offering the Romance & Private package, which offers a blissful evening of romance with candles, flower petals, and aromatic bath oils. The couple will receive a massage with a certified masseuse. Included are a romantic champagne picnic on a secluded beach and two matching Galley Bay bathrobes. Guests also receive complimentary fruits or flowers and a bottle of champagne or sparkling wine on arrival. The rates start from $830 for a couple. Bolongo Bay Beach Resort is a beautiful Caribbean retreat in the US Virgin Islands. The resort showcases spectacular sunsets, pristine beaches, hammocks on the beach, and romantic dinners. They are offering the Island Bliss Honeymoon package, which offers guests a chilled bottle of champagne and two souvenir flutes on arrival. $50 of resort credit and local Belgian Gourmet chocolates are included. Guests will enjoy the half-day snorkel trip and swimming with turtles. The package also offers His and Hers Bolongo Bay t-shirts, a complimentary scuba diving lesson, and access to all non-motorized water sports equipment. Rates start from $260 per couple. Ladera St. Lucia Resort is a luxury resort in St Lucia, West Indies. The villas and suites have an open wall that offers breathtaking views of the Caribbean Sea. They are offering the Romance in Paradise package, which includes six-night accommodations in a suite at Paradise Ridge. Guests receive a bottle of champagne on arrival and a full breakfast every morning. The package offers $150 food and beverage credit per reservation, daily butler service, and round trip airport transfers in a luxury car. The package also offers a 60-minute couple’s Swedish massage. Rates start from $7,834, excluding tax and service charge.